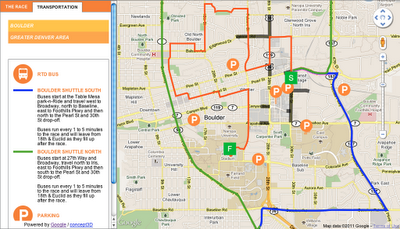 We used the Google Earth API to embed an interactive course map on BolderBOULDER’s website. With the Google Earth plugin installed, you will be able to see hundreds of 3D models of the buildings along the course, as well as special race day structures we modeled just for the event. 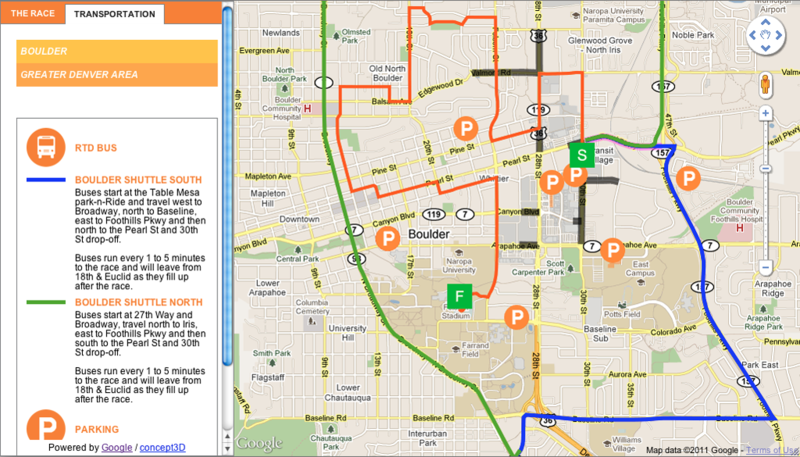 Be sure to click “Run the Race” (in the upper-left corner of the screen) to take a guided tour of the course. Google is not Concept3D. 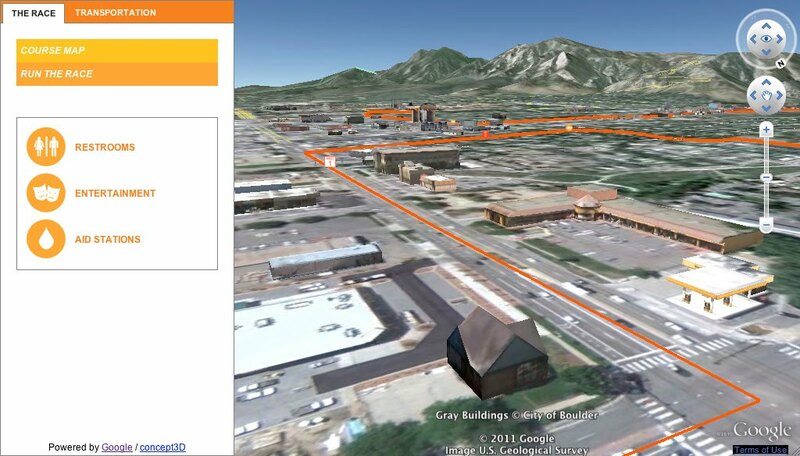 Concept3D helped Google in the development of the API work. But Google coordinated the project and designed the files and looks of the API.